Quilting Adventures: Happy Birthday Fibre! I remember it "way back when" when we lived in Ontario. I wish we didn't live so far away now. Congratulations and here's to another six years! Congratulations! I hope you are doing the row by row this year. I will be up from NJ in August and hope to get your row and license plate. hey 6 years......where did the time go? thats wonderful....congrats......wished I had a little shop like yours....I would be so happy too.....shelves full of lovely fabrics........so we must be friends for about 8 years now? Yay Fibre - Happy Birthday to my favorite hang out. I can't believe it's been that long! I was so excited when you opened and sad to leave you when we moved. Texas has a lot of wonderful things, but I haven't found a shop quite like yours. Maybe someday we will plan a trip your way and visit you and your store. Happy Anniversary! It doesn't seem that long ago. Love the new photo of the shop, so inviting. Congrats! I enjoyed the "time journey". Félicitation Carole, je me souviens la première , que suis allé dans ta boutique , je me sentait comme un enfant devant une boutique de bonbons. d'appliquée chez nous avec mon groupe. Depuis j'ai fait une jolie courtepointe en appliquée. Carole.je sais pas quoi te dire , tu est formidable. Je te souhaite une belle journée le 8 mai et beaucoup d'autres 8 mai. 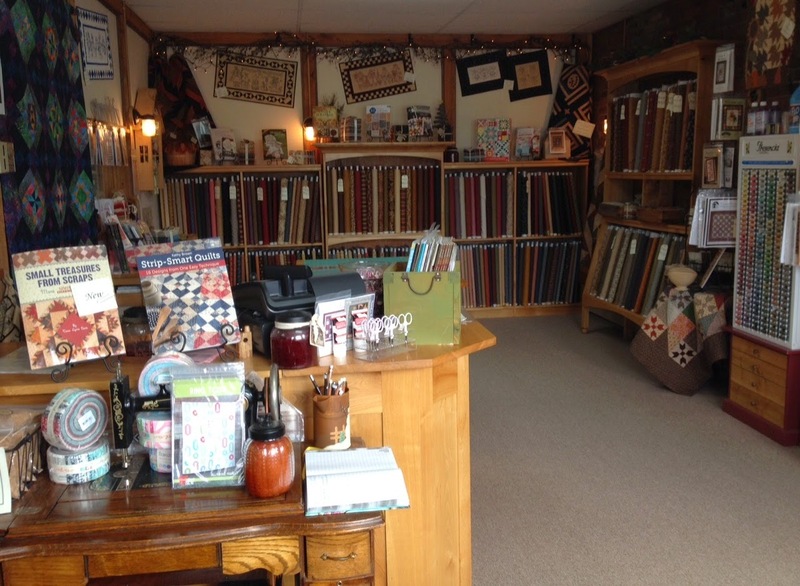 And we are so fortunate to have a quilt shop like yours around...we always feel welcomed at your place and we can feel joy and happiness around you, always. Thank you for being there for us. Wish you many, many more years. I loved seeing the before and after pictures! It looks like a wonderful shop filled with eye candy! Thanks for the chance to win your give away! I remember the beginnings!!! Happy birthday! Congratulation! 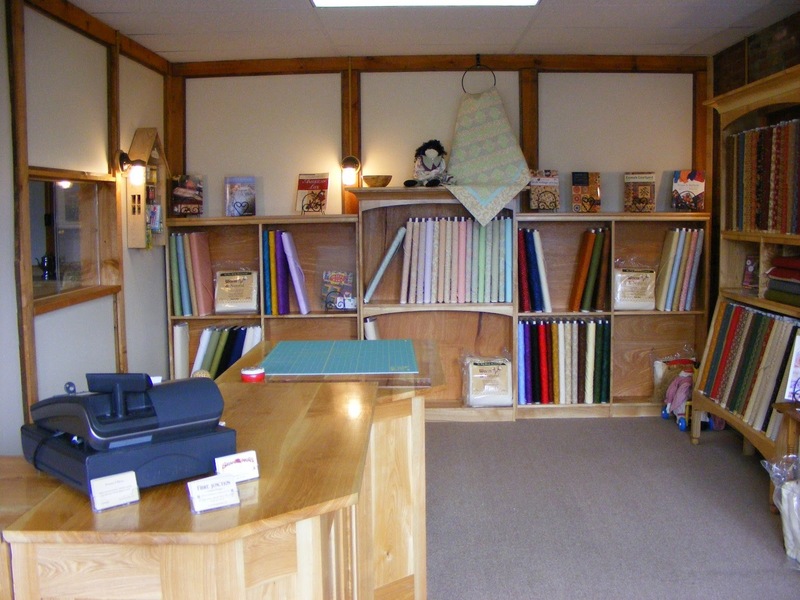 We are very lucky to have a nice quilt shop in our area! Carole, It has been great knowing you! I would love to see your shop in person some day but until then It has been wonderful! Wow -- look how you've grown! Happy Happy Birthday!!! Congratulations Carole! Hard to believe it's been 6 years. I remember when you opened shop. It's hard to believe how long we have been chatting through our blogs! Congratulations!I wish i could visit you!